This issue consists of four very different review papers, eleven original articles and two book reviews. The four reviews concern: Edible microbes; Urbanization, livestock systems and food security in developing countries; Plant clinics; and Disparities in food accessibility among households in Columbus, Ohio, USA. The 11 other papers follow a progression from the physical environment (evaluation of a famine early warning system), through the biological environment (storage of maize and reduction of mycotoxins in food, feed and milk), 3 papers dealing with different aspects of nutrition, 2 sociological papers dealing with food security, one from Nepal and the other from South Africa to 3 papers dealing with socio-political aspects of food security. The two book reviews concern international trade and agricultural policies. In the first review article, Thomas Linder points out that edible microbial biomass can be obtained from bacteria, yeasts, filamentous fungi and microalgae and that these microorganisms are good sources of protein, vitamins and, in some cases, beneficial lipids. As they can be grown on simple organic substrates they could be cultivated on an industrial scale. More futuristically, they could be grown on simple organic compounds obtained by catalytic conversion of carbon derived from CO2 capture. Assem Abu Hatab and co-authors undertook a systematic review of the literature concerning urbanization, livestock systems and food security in developing countries. They found it difficult to draw generalizations from the small number of studies, which were largely qualitative. These were mainly concerned with supply and with consumption, the two ends of the value chain and missing the middle of accessibility and utilization. In the context of rapid urbanization in developing countries, they recommend emphasis on addressing the full continuum of the livestock value chain. Plant clinics have an important role to play in pest control. Silvia Silvestri and co-authors analysed this potential in the context of integrated pest management of stem borers of maize in Rwanda. They showed that users of plant clinics were more aware of stem borers and controlling them and that, on average, their maize yields were significantly greater than those of non-users. Keumseok Koh and co-authors, using a simulation agent-based model combined with a spatial microsimulation technique, tested the impact of three policy interventions on food accessibility in Columbus, Ohio, USA. These were (1) to reduce among consumers their preference for convenience stores/partial markets; (2) to increase food availability in stores; and (3) to increase household income through a guaranteed basic income supplement program. They suggest that such a systems-based and spatially informed approach can be an efficient tool to guide policies for the improvement of household-level food security. Early warnings of famines can play a vital role in the prevention of food crises. In an evaluation of the Famine Early Warning System Network (FEWS NET), in Ethiopia, Richard Choularton and Krishna Krishnamurthy, found that the system was generally highly accurate, although less so in the food insecure regions in the North-East of the country, probably due to lack of information and greater vulnerability. The 2015/2016 El Niño was also a cause of less certainty in the forecasts. Safe storage of grain is essential to prevent pest attacks and to prevent contamination by mycotoxins, and so, plays a very important role in food security. Carbon-expensive cold storage is often not an option in developing countries owing to the unreliability or lack of electrical supply for refrigeration. An alternative is use of the ‘dry chain’. In the first of the two storage papers, Muhammad Bakhtavar and co-authors showed that maize grain which had been dried to a moisture content of 10% or less and stored in hermetic bags was of better quality than grain stored at higher moisture levels and in conventional storage bags. Specifically, the lesser grain borer, Rhyzopertha dominica, when purposively introduced into the hermetic bags with the dried maize died and aflatoxins were undetectable. Following on from the previous paper, Florence Mutua and co-authors emphasize the health hazard presented by a family of toxic compounds known as aflatoxins. These are carcinogenic, toxic and immunosuppressive substances produced by some species of the fungal genus Aspergillus and are found in many staple foods and feeds in tropical and sub-tropical areas of the world. One such toxin is aflatoxin M1, which is found in milk from cows that had consumed aflatoxin contaminated feed. Aflatoxin concentrations can be reduced by incorporating substances known as mycotoxin binders into animal feeds in order to meet the maximum allowable limit of 5 μg/kg for one of the toxins known as AFB1. The authors report on the availability of such binders in selected urban and peri-urban areas of Kenya. However, incorporating binders into feeds is not mandatory in the country and there are no specific standards regarding their use. The next three papers are concerned with human nutrition. Paula Dominguez-Salas and co-authors point out that in the Sahel countries the potential for livestock and animal-source foods (ASF) to improve nutrition of vulnerable households is considerable. They identify as many as 13 different pathways by which livestock affects human nutrition. However, due to the complexity of these pathways, local taboos and the multiple roles of livestock in livelihoods, nutritional goals for livestock interventions are often neglected. The authors advocate greater collaboration among researchers and implementers of such interventions. Nutrition Transition is the name given to the shift in diets from traditional ones high in cereals and fibre to more Western ones high in sugars, fats and animal-source foods. This shift predominantly affects developing countries. Jody Harris and co-authors report on the drivers of the Nutrition Transition in Zambia. These include rising GDP, urbanization and increasing supermarket penetration. Although undernutrition is slowly decreasing (from a very high level), hunger still persists, overweight, obesity and non-communicable chronic diseases are increasing. Attention is now being given to preventing under- and over-nutrition and promoting the availability of diverse nutrient-dense foods. Thomasz Falkowski and co-authors replicated the practices of the Lacandon Maya of the rain forest of Lacanja Chansayab, Chiapas, Mexico in order to ascertain the resulting yield and nutritional content of a typical tradional maize-dominated polycultural field area (milpa). They found that an average-sized milpa, providing for an average family of 5.3 individuals, met most of the United States Food and Drug Administration daily nutritional requirements per capita of most macro- and micro-nutrients. Thus rural small-holder farmers could be self-sufficient while maintaining nearby forest cover, which would conserve biodiversity and other ecosystem services. In the first of the two social capital papers, Veeshan Rayamajhee and Alok Bohara explored the social capital - food security nexus among food-impoverished households in Western Nepal. They demonstrated that strengthening social capital can be an effective way of combatting extreme food insecurity. Finance-related associations had a direct impact on hunger mitigation, whereas less formal relations were not so effective. They did, however, help to improve the nutritional quality of diets. Farm workers employed on commercial farms are among the poorest and most food insecure population groups in South Africa according to Nicole Claasen and Stefanie Lemke. The authors found that all households were food insecure and that individuals most exposed to food insecurity actually had smaller-sized relational networks with regard to both total number and food exchange ties. Typically such informal exchange networks were largely kin-related, amongst low economic status individuals and within a less than 50 km radius. Jatropha is the subject of the first of the three economic and political papers. Jatropha was initially welcomed as a plant that could provide biofuel feedstock but, as Christine Bosch and Manfred Zeller put it, “After the initial hype and the subsequent downfall of Jatropha, new projects are still being undertaken”. The authors’ interest is in the effect of wage work at a large-scale Jatropha project in Madagascar on food security, particularly in the lean season. They collected data from 390 households in the vicinity of the plantation and found that wage work on the plantation contributed significantly to dietary diversity but did not reduce the perceived lack of food in the lean season. They suggest that complementing wage income from the plantation with the creation of agricultural strategies could have positive effects on livelihoods and food security. In the 2000s, Brazil became a prominent contributor to policy dialogue on food security and social protection, sharing its policy instruments with developing countries. Carolina Milhorance and co-authors present one such case, the adaptation of Brazil’s instruments of public food procurement from family farmers and home-grown school feeding by Mozambique. They found that despite some political and institutional constraints the initiative was successful. Sébastien Mary points out that agricultural trade liberalization is often considered to be a central element of economic strategies aiming at improving food security in developing countries. However, his findings contradict this: a 10% increase in food trade openness increased the prevalence of undernourishment by about 6%. Moreover, developing countries reduced trade openness in response to hunger, suggesting protectionist policies. The author concludes that despite being at variance with the World Trade Organization’s regulations and current agenda, developing countries may be better off adopting self-sufficiency policies for some time. 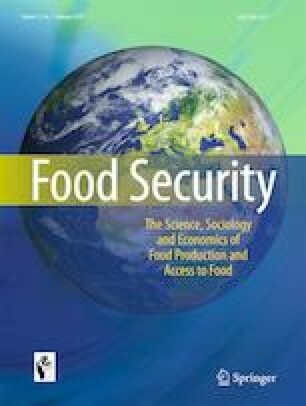 Malcom Blackie found that the (very long) title of the book International Trade and Food Security: Pulses for nutrition in India: changing patterns from farm to fork edited by Devesh Roy et al. undersells its message: Pulses have a major role to play in global food security. He considers that it provides a thoughtful and innovative approach to developing food strategies that evolve and improve over time. Henk Breman was impressed by Niek Koning’s book, Food Security, Agricultural Policies and Economic Growth: Long-Term Dynamics in the Past Present and Future, finding it helpful, amongst other matters, for better understanding of the processes behind food security and economic growth.